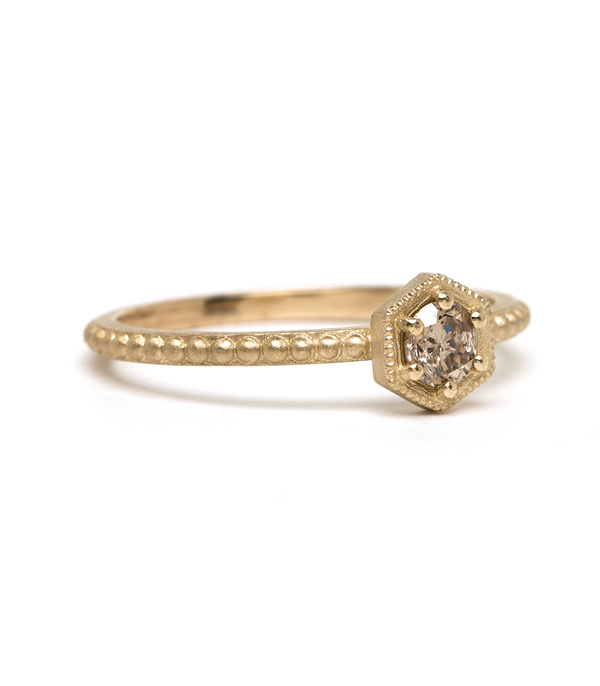 Sweet and edgy. 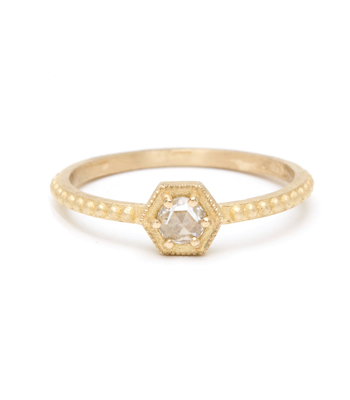 This dainty 14K gold stacking ring features a champagne diamond (0.22ct) on a raised North to South hexagon design. 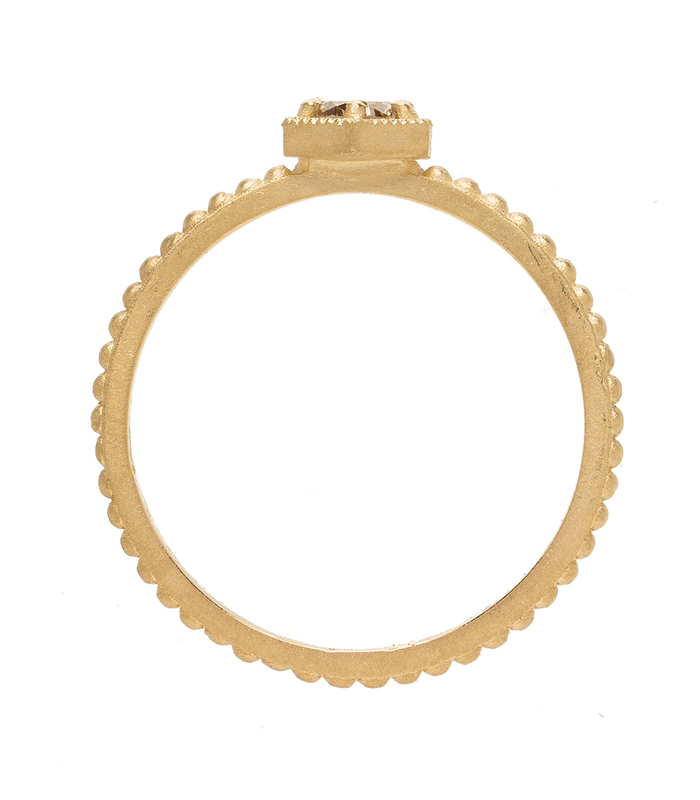 A unique “nail head” detailing adorns the band. 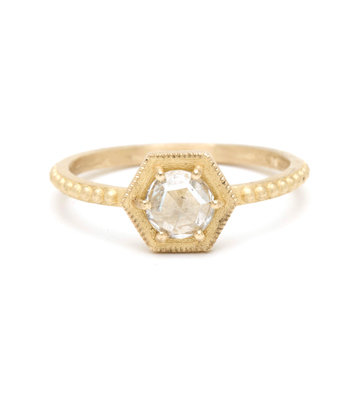 Simple, minimal, with a touch of vintage inspiration - this ring is quickly becoming our everyday classic! 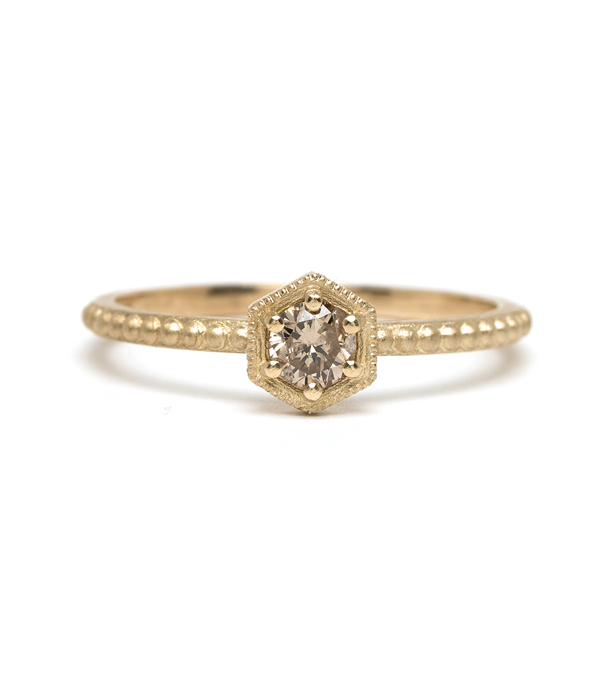 We think this piece would make a charming engagement ring for a vintage romantic bride who appreciates the subtle beauty of a warm sparkle. 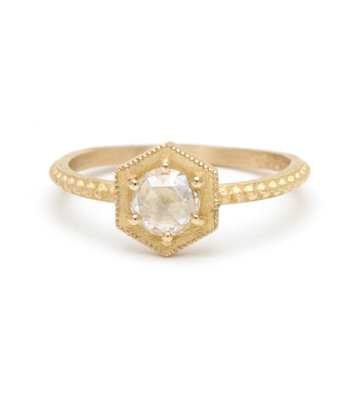 Or, to add a hint of boho flair, we adore this ring paired with our Chevron Diamond Band. 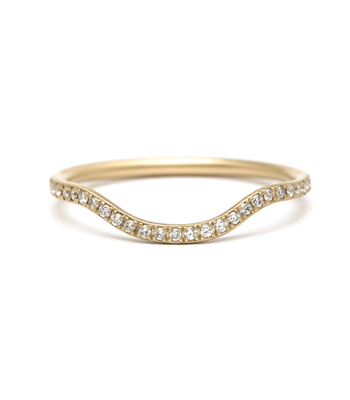 Either way this piece makes an indispensable addition to any jewelry wardrobe! 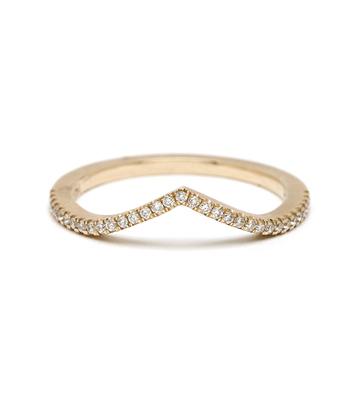 Categories: Aria, Champagne Diamond Rings, New Arrivals, One of a Kind, One of a Kind Bridal, Rings, Rocking Tradition, Stacking Rings.